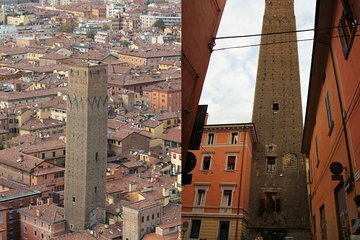 Enjoy an exclusive bird’s-eye view over the city of Bologna with this ticket to the observation terrace topping the historic Prendiparte Tower in the heart of the old town. Perched 12 floors above the city streets, this panoramic terrace offers unbeatable views from a height of almost 200 feet. On your way up the internal staircase, view the tower’s newly restored prison cells, many with inscriptions from former inmates.